Smocked elastic accents the collar and cuffs on this airy, textured ENGLISH FACTORY blouse. Long sleeves with ruffled trim. Button back keyhole. Sheer. A great new addition to my wardrobe! 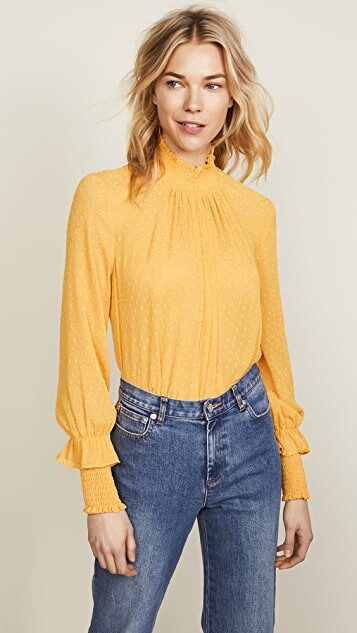 This shirt is a stunner and bang on the boho trend. Great quality for the price tag. Its not see through with a beige bra. I am a AUD size 12, US 8 and large fits perfectly. dress it up or down, it works with everything . so many compliments on this top. the color is more of a marigold than what is pictured. i love it. 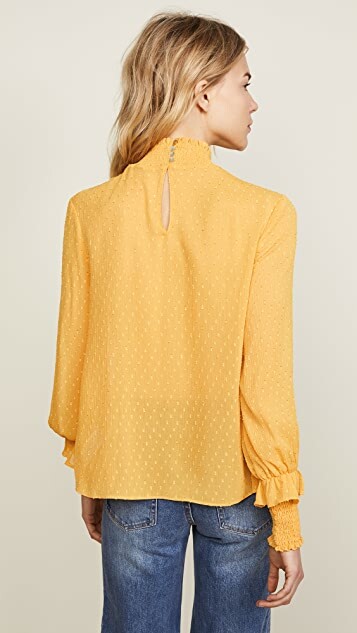 Love this blouse! 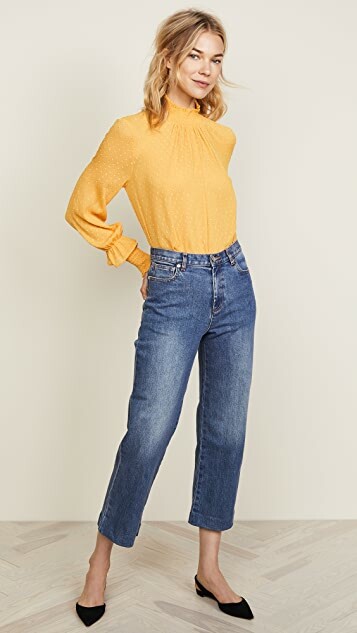 I'm about 5'5" tall and size S fit me as expected. It is of very good quality and looks more expensive than it is. The color is rich and the fabric pattern is lovely. 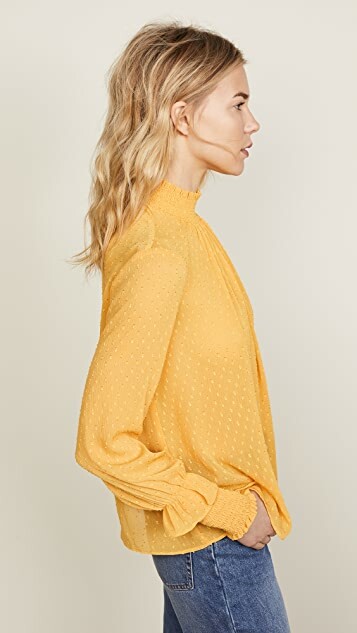 This top has button closure on the neck which is not very convenient because the buttons are small, but that is a very minor issue. I really loved the color of this top. It was super cute and fit well. I couldn't get past the sleeves. 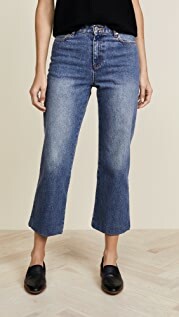 They were super bulky and it looked funny. It the sleeves were normal without the "decor" i would have kept it. It was returned. I got this in a small and it fit me well. The fabric is slightly sheer and the color was what I was expecting (sometimes it looks different on your computer!). 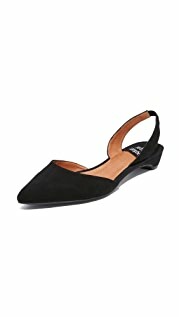 Agree with other reviewer, for this price point, great addition to any fall wardobe and color is different and flattering! 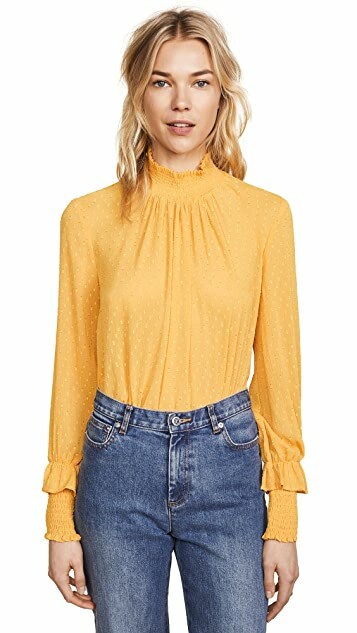 This top is an awesome addition to my fall wardrobe and you cannot beat the price. Looks great with jeans and heels or a fun skirt.